Welcome to our July Blog Hop featuring our Summer Mini Album creations. To purchase any of the items seen in our blog hop today, contact your local consultant to place an order. If you have just hopped onto my blog, you can start here as this is a circular hop. If you arrived from Deanne Jacob's blog then you are in the right place. She is also the start of our hop, so if you want to hop across Canada, pop over there first. My project today features Flip Flaps. This past Easter, we went on a family cruise to the Southern Caribbean. 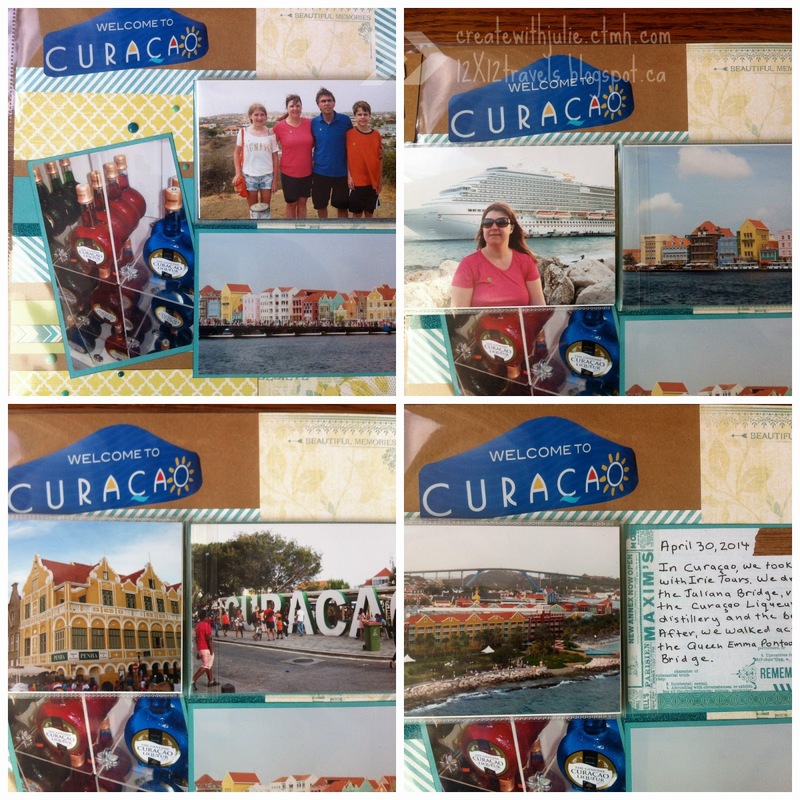 I made this page of our stop in Curacao. It was based on Make It From Your Heart Volume 2, Pattern 15, and inspired by the Spring/Summer 2014 Idea Book p.21 and Tabitha Goddard-Deuso. Like many of you, we took too many pictures to scrapbook them all. I still had many photos I wanted to use so I created a little mini-book on the page using the 4X6 Flip Flaps. Your next stop on the Cross Canada Hop is Michelle of My Creations With Michelle. Michelle also has the complete blog list posted in case you get lost along the way. Thanks for hopping along with us - we hope we were able to inspire you to get creative using some of the designs, products and techniques seen along the way. We hope you will join us again next month when we will be featuring alternative uses for Picture My Life cards. So mark August 15th on your calendars and hop along with us. Great job Julie, your blog is looking really nice. 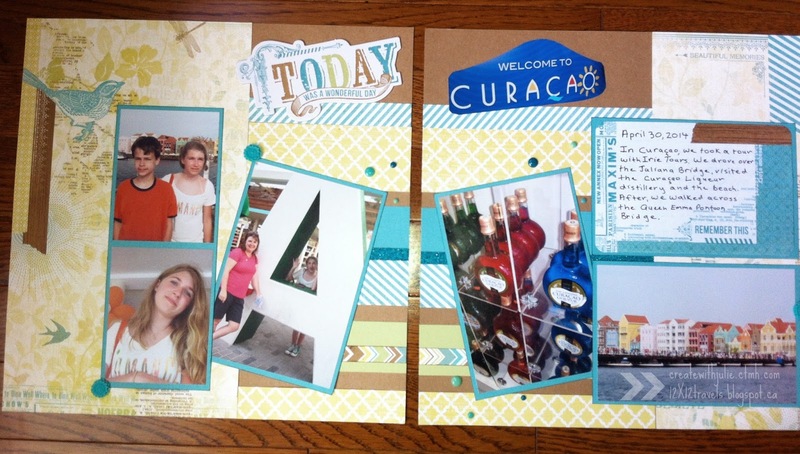 Fabulous layouts for your summer album.